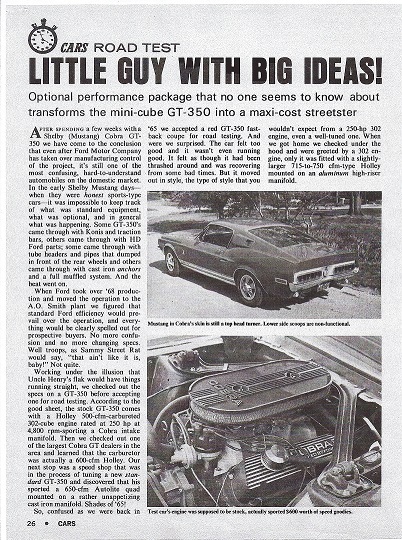 Observations by Colin N., Vinny Liska and Pete D.
Unfortunately, the article indicates the writers were more confused than actually discussing real GT350 models. There are two different cars in the article. 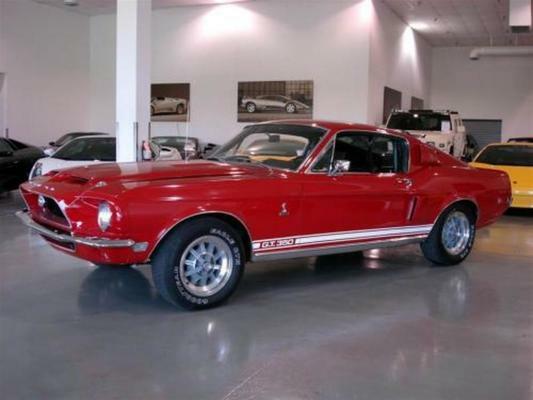 The first was an early GT 350 with an iron intake and an Autolite carburetor. That car also had air conditioning. The second car, was a GT 350 4 speed car. This car was a post-recall car with the aluminum intake and a Holley carburetor. The thermactor, pollution controls have been removed and the rear end changed out to a non-stock 4.11 gear set. (Larger ratio = better performance off the line). I think everyone would agree the 4 speed car should have better performance numbers. It's no wonder they were confused. Between the assembly plant and the dealers, no less than eight intake/carburetor combinations were possible. It's also no secret these road test cars were hopped up by enthusiastic dealerships ready to sell more Shelbys. The increased performance between these two cars can easily be explained by the minor changes and not a different engine. So, the GT 350 HO probably never existed or did it? The writers of this article did not have any doubt - this car was super-tuned and modified to provide maximum performance. After a quick read, we find out the car came from Tasca Ford. That is a big clue. Tasca was also the dealership that developed the 428 Cobra Jet. Even though the car is represented as "stock", pictures show no thermactor. All 1968 GT 350s with 4 speeds originally came with these pollution controls. 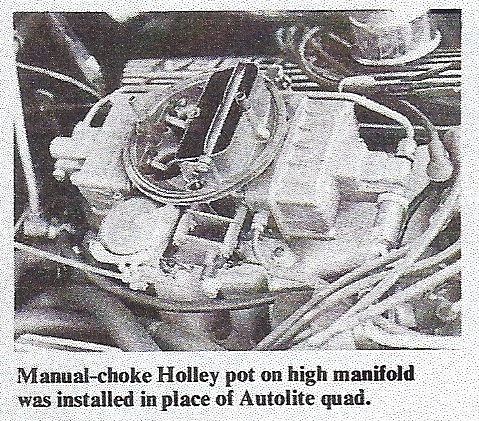 They also show a Holley Lemans style carburetor (not available on the GT350 in 1968). Further reading reveals, non-stock tires and engine that was more than just a little warmed over. In fact, after several calls to Ford and Tasca, the author figured out the car had a hydraulic cam, GT40 cylinder heads and a few other goodies. These were all added by Tasca. Colin's curiousity had revealed the real GT 350 High Output car. It's clear that this was never a package offered to the public. Strangely, I had already been trying to figure out the serial number of this strange GT 350. With the help of Vinny Liska, the 1968 Shelby Registrar at SAAC, we searched for the red, GT350 sent to Tasca. Tasca originally mounted the antenna in the stock Mustang position. That would be the the right, front fender. 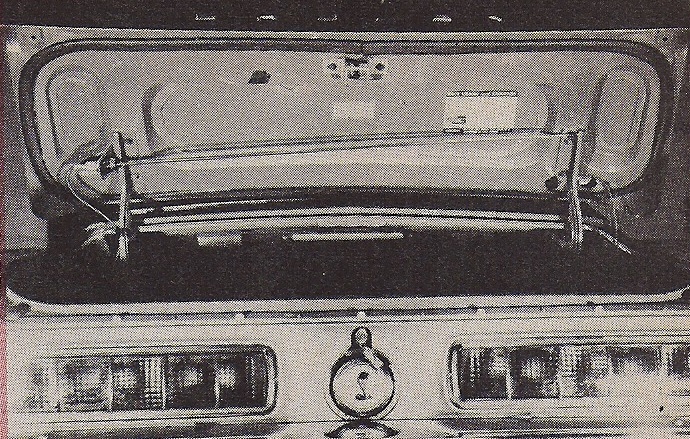 Shelby antennas were shipped in the trunk of the new cars to avoid being damaged. Dealers installed the antennas on the new cars. This car was later sent back to Tasca to have a special trunk mounted antenna installed. Most unusual was this antenna was actually placed entirely inside the trunk! This picture was found in a trade publication. It actually shows the antenna below the decklid, running between the hinges. Liska was able to positively identify the Tasca car as 8T02J115318-00016. The warranty papers actually document the dual antennas. Imagine showing up at the next car show with a trunk mounted antenna and GT40 heads. "It's "stock". I swear it came this way from the dealer." #00016 is still around the car was recently auctioned off at Russo and Steele. I am not sure if the owner knows about the unique history of his car. When he finds this, hopefully, he will check his trunk and send a thank you note to Colin.